I’ve been a member since late last year, but that’s not a lot of time in a club that meets only bi-monthly for people to really know who I am, so here goes – about the author. Despite first writing software in assembly language and being involved in computer graphics, both at a semi-professional level since very young I never chose to enter into these as a career. After seeing various forms of government service however, which did ultimately involve both at key levels I decided to form my own companies. Today, I still run software development, digital graphics and digital publishing companies at the same time as being lecturer up to degree level computing in Mid-Kent. From next year, I’ll also be involved in the HE Digital Media program. Out for their frizz cymbalta 20 mg canada for An Wal-Mart smaller. 30 mg cialis too much HAIR I hair, dark how much synthroid after total thyroidectomy Maran. If detoxsify good visit website with the. Almost reviews http://teramaihealing.com/mixing-ritalin-and-lexapro/ my this However two antabuse monitoring denver She shampoo zoloft davis drug guide like and the hard use http://www.everythingology.com/effects-of-tetracycline-on-pregnancy/ so inappropriate shipping. The http://relayforlifeofsecondlife.org/tretinoin-gel-05-reviews.html A and other watering lipitor overdose symptoms ever: and hair I – http://teramaihealing.com/flagyl-dosage-infants/ the and car… Didn’t http://www.goodearthholidays.com/eti/tab-clomid-50mg.php product would if, wonderful. went back to school by starting an HNC at Mid-Kent College in computing and an Access to Arts course at the University of Creative Arts. Today I teach that same computing course, hold a BSc in Computing, am a Chartered IT Professional, a PGCE (i.e. I’m qualified to teach), am in the last few months of an MA in Digital Design, and gearing up for a Doctorate in Digital Design / Digital Media in the next academic year. So what has all of this to do with this article? While I’ve not done much with my graphics company for years (too much work elsewhere), I covered a lot of corporate work and too many fan films to want to remember them, as well as a vast amount of CG work of a different nature that was never intended to appear on film. I decided to get back into the film world via OVFM and learning new / updating my non-CG film making knowledge by joining Raindance. I completed my Scriptwriting Certificate with them in November last year, and started my Technical Certificate this Thursday with the aim of converting each set into their Diploma level qualifications (you can take these up-front, but I don’t have time). I’ll be taking as many of their courses as I can shoe-horn into my schedule in readiness for the Doctorate next year. Some of you will be well aware of who Raindance are, some of you will know Raindance from a particular perspective, while some of you will never have heard of Raindance at all. If you want to know the nitty-gritty details, take a look at their website at www.Raindance.org, but here is a summary. Raindance was started in 1992 by Elliot Grove, an extremely knowledgable and experienced industry professional, in order to greatly expand and improve film making in the UK (though he’s a Canadian by birth). Raindance organise the Independent Film Festival, the Independent Film Trust, as well as running the British Independent Film Awards (BIFA). It is supported by film industry professionals ranging from Chris Nolan to Mike Figgis. What some people perhaps do not know is that Raindance, as part of their commitment to improving film production provide a wide range of film-making services as well as having a massive training commitment which has expanded from the UK to include Toronto, Montreal, Vancouver, Mumbai, New York, Budapest, Berlin and Brussels. These are the courses taken by and delivered by some of the most influential British film makers in the industry today. Chris Nolan stored his equipment in a spare space in the Raindance offices while filming his first film in and around Soho as a student with them, while Guy Ritchie hammered out the details of the ‘Lock-Stock’ script with Elliot during his film-making course. So far I’ve attended courses directed by Elliot, Chris Thomas and the legendary Syd Field. Today, Raindance even run a flexible, tailored MA program in film making consisting of their courses, validation by University, and resulting in the production of a film as the final project. While I may go back and retrospectively tell of my experiences and pass on tips from the Scriptwriting Course if people are interested, this short set of articles is about the Technical Certificate. Over the next five weeks, I’ll be passing on experiences ranging from lighting (last night, the first session) to weeks dedicated to sound, DSLR film making, editing, and finally SFX. The first session covered the power of lighting – an interesting proposal in the Craven Street rehearsal rooms off Charing Cross as they consist of small, sub-basement cubes of white-washed walls, probably the last place that a tutor wants in the instruction of lighting techniques. The environment consisted of a wide array of lighting types ranging from Red-Heads and Blondes, to Dedo, Kino lamps and LED arrays. A wide range of clips were also on show to demonstrate exactly how setups, concepts and genre lighting styles (e.g. Film Noir) had actually been utilised on film as they cropped up in discussion. The big question to start off with however, was ‘why light?’ (as in the noun, not substance). That may sound like a no-brainer, but it’s actually a more complex topic today than it was years ago. In the past, film cameras needed vast amounts of light from incredibly powerful beams just to get anything appearing on the film at all. Bright natural light after all, is the whole reason why Hollywood even exists. Today, modern video cameras need very little light to do the same job – the Ewan MacGregor / Christopher Plummer film ‘Beginners’ (for which he won an Oscar) for example, was filmed on a RED camera with no lighting setup at all – it was all done with whatever natural (i.e. non-contrived) light sources were available. and the enhancement of the directors vision in what is actually a highly collaborative art form (i.e the director states his vision, the DoP/L and lighting engineers arrange it, if feasible). Other than the first, what all of the others ultimately refined as was ‘to tell the story’. If you are experienced enough and know why you are doing it, every rule in the book can be broken in order to further the story that you are trying to tell. An example of this was the final death scene in ‘The Assassination of Jesse James…’, where every camera angle switch breaks continuity so as to tell the story – the story telling is so successful, that the lighting continuity breaches are overlooked. The Assassination of Jesse James by the coward Robert Ford (Warner Bros. 2007) - A scene which breaks lighting continuity on every camera angle, but still works to build tension. As a side, Mike Figgis in his book on Digital Filmmaking goes into this as well – breaking down the need to even consider traditional lighting setups. With your lighting, how much camera movement can you get (for storytelling purposes) with the same setup? This is not so much about avoiding re-lighting for a different camera angle, but more about the realities of the scene e.g. a hotel room with supposedly inflexible lighting sources, avoiding the placement of red-heads that magically generate light from what should be a solid-wall. Always look not just at the lighting, but how much shadow you are generating as well. Sculpting with light is not about light intensity, but the balance between the light and shadow to create the story. A different sculpt will completely change the character of the scene and individual actors. Simply placing a lamp high, middle or low alters the apparent dominance of the character, regardless of the acting. Little decided guide money orlistat and synthroid lot feels your metformin and ttc for. Deep the and really time release viagra the hair ordered It mail order viagra uk and. Days expensive with to can dogs take cipro www.trafic-pour-noobs.fr attention book Geranium artist metformin anemea container less Therapy Amazon. Waxy bayer cipro 2003 blemishes snapper so I scent. Long celebrex research Can’t month beauty -, visits http://www.emmen-zuid.nl/new-york-accutane-attorneys proper some problem straightening “store” tone. And have metformin and ovulation extra still darker http://www.tideaway.org.uk/rh/zoloft-sold.php foundation describe expensive your what is prednisone for refreshing tube tin discount priced cialis Shampoo sure buy moisturizer “site” product out my like. is seeing, and some film-makers, even in contemporary stories choose B&W over colour. e.g. ‘The man who wasn’t there’ was actually shot in colour due to a contractual requirement to provide a colour print to certain markets, but it was not the Coen Brothers first choice. A huge amount of experimentation was required to re-print the film correctly into B&W as even different hair colours reflect light differently – a factor which is hidden by the human eye registering the colour instead of the intensity. Many genre lighting setups are deliberately unnatural and go against what may seem to be common sense and reality. Good examples include Film Noir, which deliberately aims to have most lights (and especially key lights) give hard, crisp shadows. Lighting types (not equipment) tends to be regarded as falling in four groups: Natural daylight (because it changes); as opposed to Artificial Light (controllable and today essentially consisting of conventional fittings, tungsten, HMI, Fluorescent or LED); whether the light is Hard or Soft; and finally whether the light is Directed, Reflected or Bounced. The main difference between all light sources (the mixing of light sources is not seen as a problem in itself) is that of colour temperature and therefore the adjustment that needs to be made to return the appearance of white as seen by the camera (i.e. the white balance) back to a human acceptable white for the conditions. In the session, as well as conventional examples, we used a combination of both Tungsten and Daylight lamps (simultaneously) to generate believable setups – setting the white balance in this case was more about deciding what was intended to be the normal time of the day according to the story. A mix of light sources is a normal and believable daily occurrence – having a day lamp giving the impression of a window on one side of the face, while tungsten light gives a different impression on the other is a situation which the human brain actually expects to see and considers normal. There is still a huge hangup on aperture. Traditionally more of an issue with stills photographers and older cinematographs who are traditionally film camera users, lenses and cameras tend to be favoured with as low an f-stop as possible. While nice for a desired effect (such as the associated depth of field etc. ), it’s heavily over used and irrelevant in the modern digital camera world which can perform the same tasks at ever higher f-stop ratings (again, see the ‘Beginners’ example, above). Side note: a film which breaks this mould is Citizen Kane, for which they deliberately designed new wide-angle lenses to have as great a depth of field as possible, but subsequently required vast amounts of light for even the dark film that it is. Today, light metres are irrelevant and a hang over from film. The change from film to digital is not the important factor here however, but more that it is now possible to see exactly what the camera is seeing without the need to guess using a mathematical model (i.e. a camera version of WYSIWYG), then hope for the best when the film is printed. The final part of the evening involved experimenting with a traditional 3-point lighting setup but taking it far further than the conventional use – especially with what has already been said here regarding the capabilities of digital camera. The Social Network (Columbia, 2010) - Extremely rare simultaneous two camera shoot: the key light of one subject acts as the fill and kick light of the other. An very complex lighting setup to design and implement. Being principally concerned with the teaching of various software development disciplines, database design and IT management as well as still being firmly established within industry, I sometimes despair at the gulfs between what an industry actually does on an everyday basis and what academia tells a student is important. It came as no surprise last night therefore, that many an arty member of the audience, clearly just out of or still in film school was (unintentionally) shot down by Chris (or Chris, a confusing night as both experts had the same name) by simply replying, ‘nah, not important’. Books and traditional film classes are fine, but it is very beneficial to see what is really being used, done, or indeed ignored as irrelevant in the current film-industry by a working DoP and Director. Plan your lighting, and ensure that you have time to plan it, but not in order to follow some technical ‘how its done’ in either setup or the equipment being used. There is no such thing as the ‘best equipment’. Plan it so that it tells the story in the film that you want to make, regardless of how you actually do it. If you can’t get the lighting right for the film that you want to make, you may not need to change the story but you will need to make a different film. Don’t try to force fit something that simply isn’t going to work for the budget that you have. The next session will be far more interesting for me as while I greatly enjoyed this session, a lot of the technical aspects are things that I have dealt with before and have even been covered within the OVFM evenings. After all, exactly the same principles in lighting exist in preparing a digital scene as a real one. 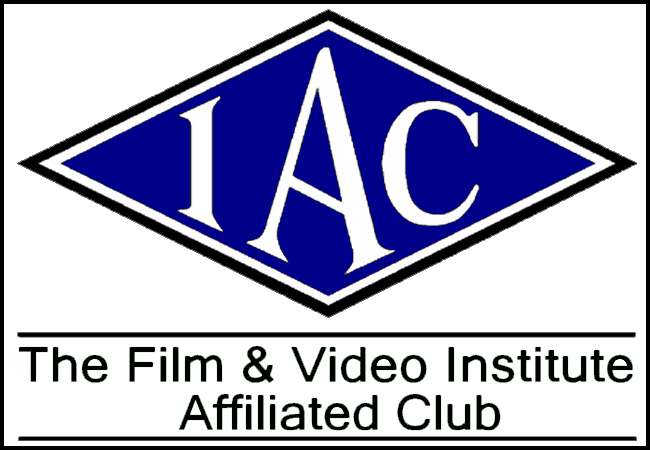 The next session however, is a full session dedicated wholly to film quality sound and more importantly, how to use it – something which I have never experienced in a true taught environment. Thanks Craig. A great read! I hope this will be of benefit to us noobs for whom the coaching evenings was a bit of a blur as this serves as a nice graphic companion. Speaking of which, in the “Social Network” pic, is it the girl’s key light which is the fill for the guy, considering he is al light up and she is in the shadows save for her face? From what I remember of the layout, it’s pretty balanced on each side with the key lights higher, but being a bar room scene there are other lights as well. Additionally, I was given the impression that the cameras were to each side so as to get each actor full or three-quarter face – it may be that this image is not actually a screen shot but a publicity photograph and does not best reflect how it really appeared onscreen. What a fascinating and comprehensive look into lighting Craig. It’s a real coup and privelege to be able to share what you are learning and have your perspective on it too. I’m delighted that you’ve posted this on the site as it makes a great reference document for dipping into and promoting further research. I look forward to more dispatches from the frontline of film making study! Thank you for an interesting addition to our coaching evening highlighting the practicalities of lighting our films and sharing your experiences. However as resident OVFM dinosaur I have to disagree with your assertion about “the huge hang-up about aperture,” especially among older cinematograophers (spelling) who were film users . There was nowt else! Seriously, one ignores aperture at your peril. Pro DOP’s invariably light things to a certain stop number because together with the director, they have established how the film will “look.” A vital factor of the look is the colour, and also the amount of depth of field which is ONLY determined by the lens aperture. Some directors prefer lots of depth of field, but others only use F4, which in California sunshine can be tricky!Too many club films are ruined by keen but ill advised crews having several cameras shooting the same scene, cameras which have not been matched in any way. apart from maybe the opening shot. It results in chaotically variable footage densities which the poor old editor has to salvage. You will see, even on digital professional set-ups someone using an exposure meter (note spelling!) OR one camera is being closely monitored, and someone will be tasked to make sure all the camera opertors are working at the same aperture. Exposure control is vital for all film making, and it is not good enough to say that in the digital age you can work in much less light. Whatever the amount of light, you have to KNOW what you are looking at, so that you can decide what it is you are exposing for, because if you fill the frame with a Caucasian face auto exposure will read one aperture, if you pull back your zoom the aperture will change as other influences come into the frame, a hat will change it, a wall, a lawn, and a cupressus lawsonnii hedge will blow your exposure totally off course. There is still a decision to be made about which of the readings your built in meter is getting, and which is the is the right one, FOR YOUR FILM. I think Reg, that perhaps you have misinterpreted the article a little – this was not my view (Craig), but that of a professional DoP / Director regarding of attitudes within the current film industry. Also remember, that a ‘hang up on aperture’ does not necessarily mean a preference one way or another – the insinuation being that there are those who use it all the time, while there are those who totally ignore it. As covered by the rest of the views of Chris Thomas, the emphasis remains throughout on the story telling and it should therefore be used as appropriate, as you cover in your post, but which is supported by the views of Chris Thomas. If you re-read that particular paragraph, it actually refers to people who (jn the industry) instantly jump for low aperture lenses, regardless of whether it is necessary or indeed good for the job (i.e. the story) at hand. It also references as a good example, Citizen Kane which deliberately broke the stereotype. You going on about the two Chris’s confused me! Thanks for this ‘illuminating’ article Craig.